For nearly a decade, the Austin Young Chamber has worked to create connections and foster the spirit of innovation within Austin. The Austin Fast Start pitch competition is a partnership with the City of Austin’s Economic Development Department and DivInc with support from 3 Day Startup. Every quarter, we will hear from a new industry and award an unrestricted cash prize and other opportunities to identify and support local entrepreneurs as the future business leaders in our community. This cycle’s applications are open to Austin based startups whose work fits the scope of Fashion. Startups must: (1) be located within Austin city limits, (2) should be in the pre-seed/early revenue stage, and (3) be less than two years old. All applications will be scored by judges from across the community with diverse backgrounds and skills, as well as an industry expert. 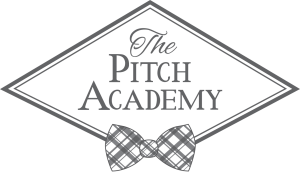 The top four scored applications will be selected as Finalists and invited to participate on pitch day. The four Finalists will pitch their business to the audience at the Austin Fast Start event. Each Finalist will have five minutes to pitch the audience on the value of their product or service by either presenting a slide show presentation or giving a live demonstration of the product. Five to eight minutes of questions and answers from the judges and audience will follow. The winner of the Austin Fast Start will be chosen on pitch day by a combination of judge scores and audience vote. Jump Credit is an alternative credit technology that will accurately predict risk on student loans in developing countries by using academic data, psychometrics, and machine learning. FinTech companies are businesses that leverage new technology to create new and improved financial services for both consumers and businesses. It includes companies of all kinds that may operate in personal financial management, insurance, payment, asset management, etc. Rocket Dollar allows individuals to open and maintain self-directed retirement accounts. We enable account holders to access alternative investments beyond stocks and bonds. Customers can invest in real estate, startups, crowdfunding platforms, or any opportunity allowed by the IRS while keeping the tax benefits of a retirement account. Rocket Dollar provides ongoing compliance support for customers to ensure their accounts are always in good standing, as well as giving customers the ability to track their investments, all within the Rocket Dollar platform. Tixpire is an alternative to high ticket prices for live entertainment events. Our company offers extended layaway options for any ticketed event in the world. The solar energy industry is growing rapidly, and 90% of that added solar capacity is installed with tracking capabilities. The team at Sun Co. is developing passive solar trackers that drastically reduce cost through the use of shape memory alloys. These alloys work as both sensors and actuators. They contract when heated which allows us to track the sun without any additional electricity or expensive sensor equipment which help homeowners and small businesses find a cheap solution for increasing their energy efficiency. A sustainable or “green” business is a business that operates in a way that protects the environment, enhances the community, and maintains a healthy workplace. The Austin Central Library was recently awarded LEED® Platinum status under the international green building rating system. It is now the second Platinum certified public library in Texas. LEED, which stands for Leadership in Energy and Environmental Design, was developed by the U.S. Green Building Council. LEED Platinum is the highest level of recognition awarded and indicates a score of 80 or better on the 110 point rating system. The Central Library is the first City of Austin building to achieve the prestigious designation. Six commercial buildings in Austin have been awarded LEED Platinum. There are about 20 LEED Platinum certified libraries in the U.S.
At GrubTubs we found a solution that transforms food waste into animal feed. Our process is fast, capital efficient, easy to permit, decentralized and profitable for restaurants and farmers. Our patent pending GrubReactor uses insect larvae to quickly eat food waste. They can be placed on any farm nationwide without a waste permit, saving our farmers up to a $1,000/mo per 1,000 chickens they have to feed. At Shower Stream, we understand that water and energy waste is an enormous problem across the globe. It is not only an environmental problem, but also a huge economic and social problem. We are transforming the water, energy and IoT industries by solving unique waste problems that are currently completely unattended. Z-Bikez is Austin’s own brand of personal electric vehicles. We make and sell a complete line of electric bicycles, mopeds and motorcycles. In light of our experiences and new market trends, we’re in the process of pivoting to a new model that hits the sweet spot between current docking bicycle programs and dockless scooter share programs. We have full scale manufacturing capacity for our future growth, R&D products, and infrastructure developments. Every great idea deserves great protection. Insureon has helped more than 200,000 small businesses and entrepreneurs find affordable insurance online from top U.S. carriers. Find out why we’re recognized as a trusted leader in Texas at Insureon or give us a call 512.501.5542.